The Aberdeen-based business will be highlighting its neoprene moulding service offering after securing an official licence from Eaton to manufacture products using its internationally-recognised Burton Subsea Product Line. Subsea Supplies has been recognised by Eaton as its certified European partner for Burton neoprene connector and cabling assemblies. Established in 2000, Subsea Supplies has industry-leading partners including Eaton, Nexans Norway A/S, Masto Wire-Service A/S, Sun-Star Electric, Clear-Com, Innerspace and AK Industries. The company is exhibiting at stand Q11 at Ocean Business (April 9-11). 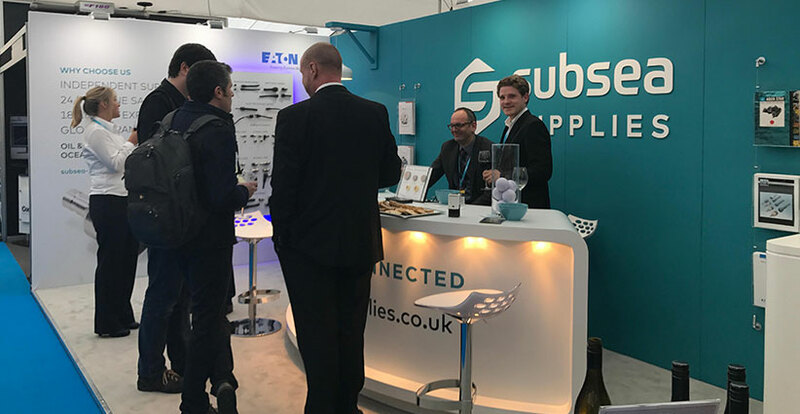 Subsea Supplies is a sponsor of The Wine Trail, an informal networking event for exhibition visitors to engage over a glass of vino. The event, on Tuesday, April 9 (5pm-7pm) is free to attend for pre-registered visitors and exhibitors.